What is Instead of the Egg? Instead of the Egg has been set up to achieve quite the opposite. Instead of the Egg is not computer-based. Although there will be a web presence listing venues operating the scheme. 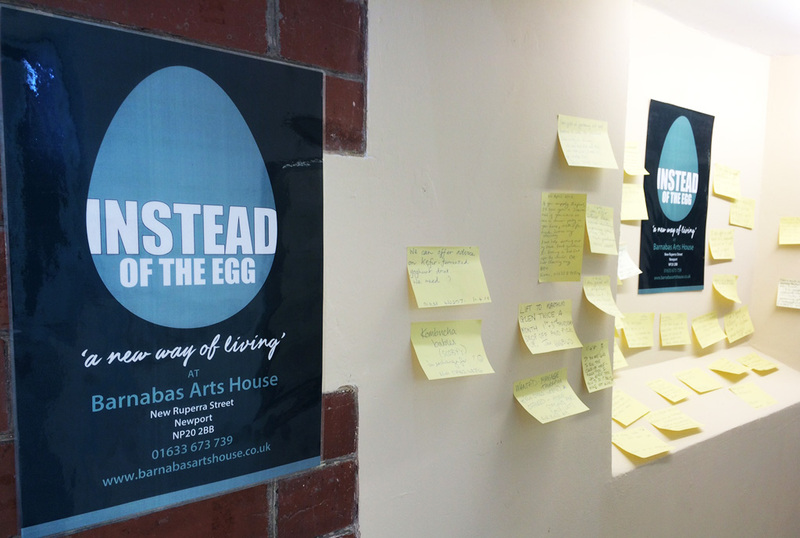 A participating place has an Instead of the Egg branded area where a series of ‘deals’ or ‘swaps’ or ‘needs’ or ‘offers’ are posted. None of these involve money! It is up to the participating adult to contact another by whichever means or by meeting up to discuss (thus promoting friendship) and the swap or deal is agreed. Swap/deals may involve several people at the same time and as long as they are all happy, then trust forges thearrangement. There is no admin as participants have to take responsibility for their own conduct. Any participating premises has to liase with Barnabas Arts House to get the kit. The ads stay on for 1 month. They can then be replaced if wanted/required. 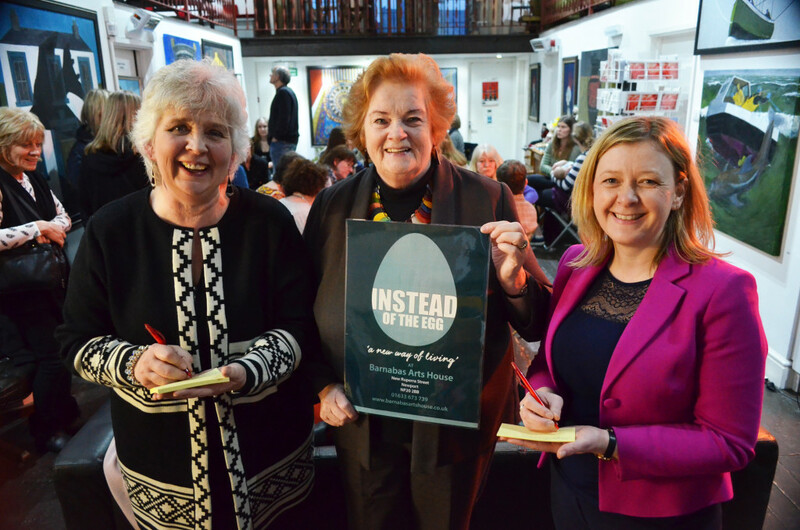 Instead of the Egg is up and running at Barnabas Arts House and was officially launched by Dame Rosemary Butler AM on 1st April 2016.